Sometimes what you really need is come comfy leggings, right? 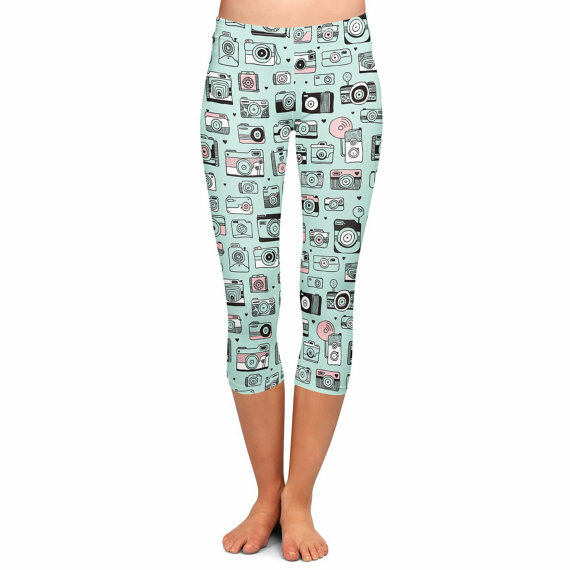 I adore the cute camera print on these leggings – and they’re the perfect color! These are made to order so they take longer to arrive in the mail – order early! You can also get these through Etsy: shipping is included in the price, AND you can choose between full length or capri! 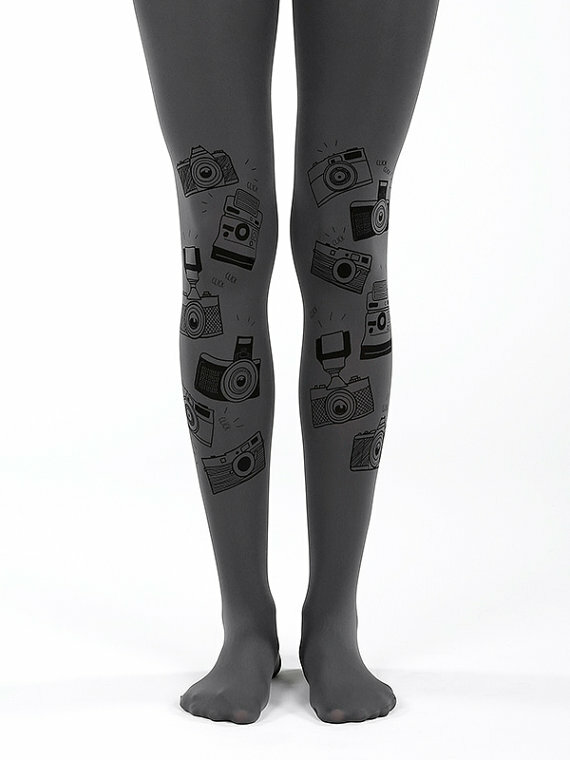 If you already love to wear tights, then these camera-themed ones might be right up your alley! 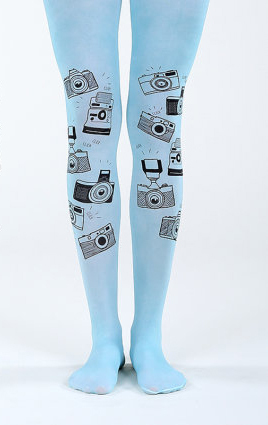 If you want a brighter color for your camera tights they come in this awesome light blue too! Yes, these are the same print of tights above. (I couldn’t choose just one.) The cool thing about these are they come in plus size! Fun tights are for everyone! 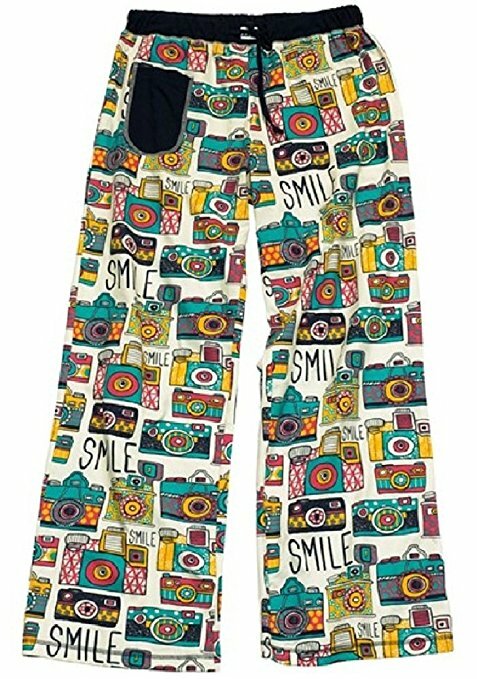 These pajama pants have such a cheerful print! They are great for lounging in while you edit all your photos, and they are nice and relaxed if you don’t like leggings. These leggings are a great option if you like black and white patterns. 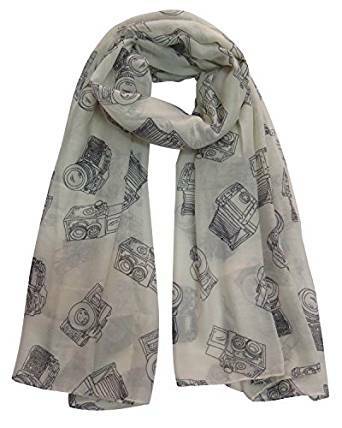 I personally love that they are completely covered in different cameras – it’s such a unique print! 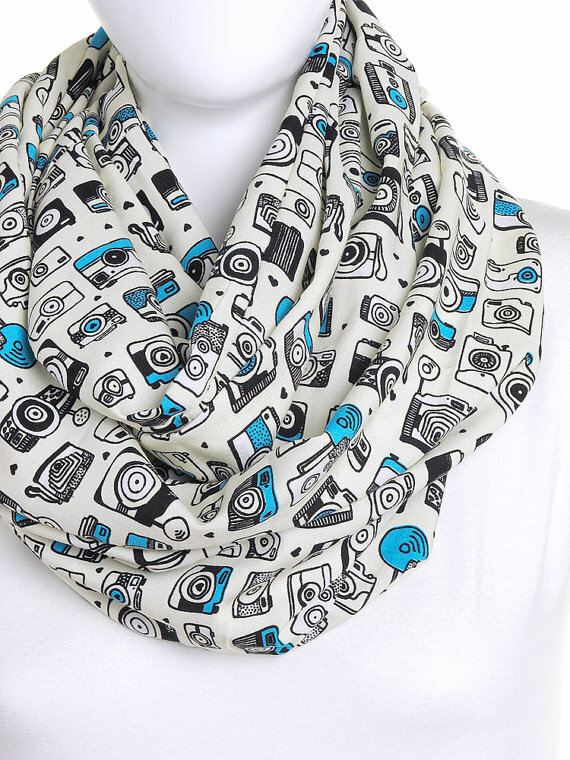 This infinity scarf totally caught my eye. What a great pop of blue too! And it comes in beige too. 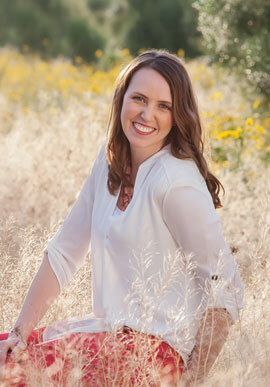 This lightweight scarf comes in six colors- black, white, grey, beige, blue or light pink! These type are great because you can wear them in several seasons. This infinity scarf comes in six colors! I can’t decide which one I like best, but I love all loop “infinity” scarves” because they are so versatile in my wardrobe! 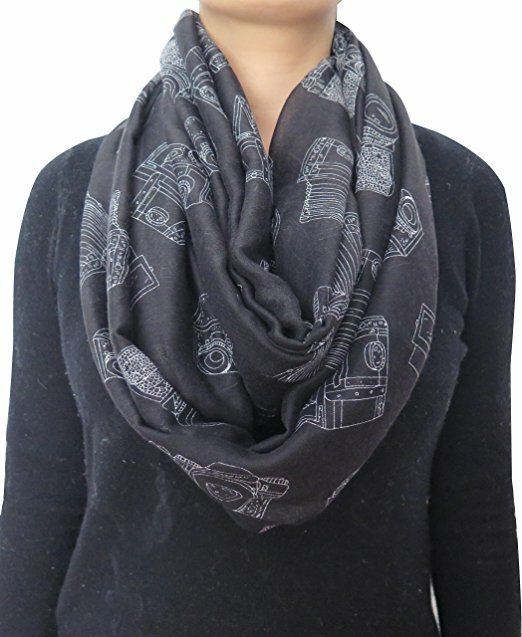 This black and white printed scarf has lots of different kinds of cameras on it. 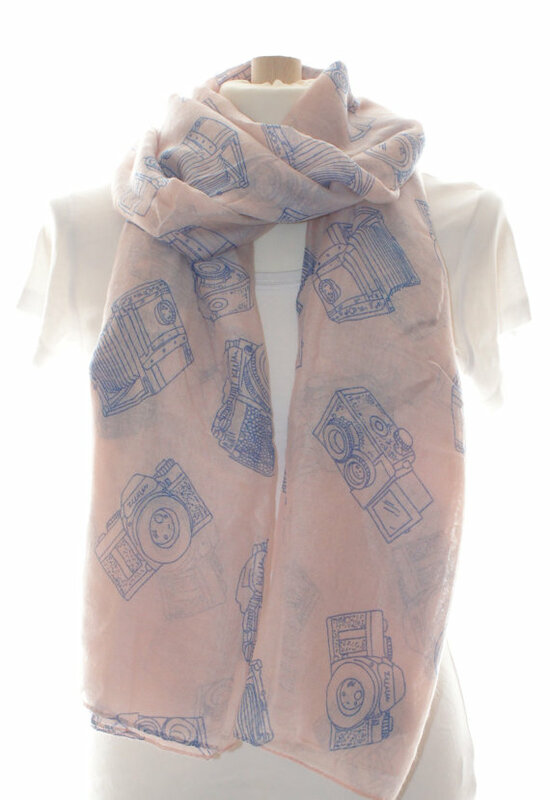 This gauzy scarf is so pretty! I love the pastel colors of this one. 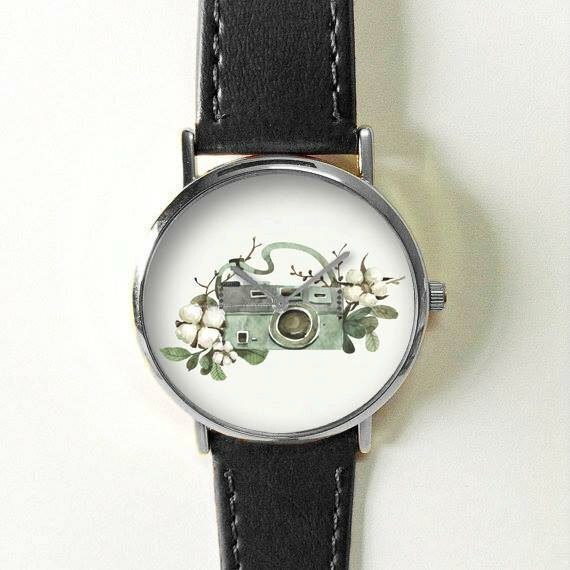 This watch is made to order by the artist who created the beautiful blend of camera and nature. 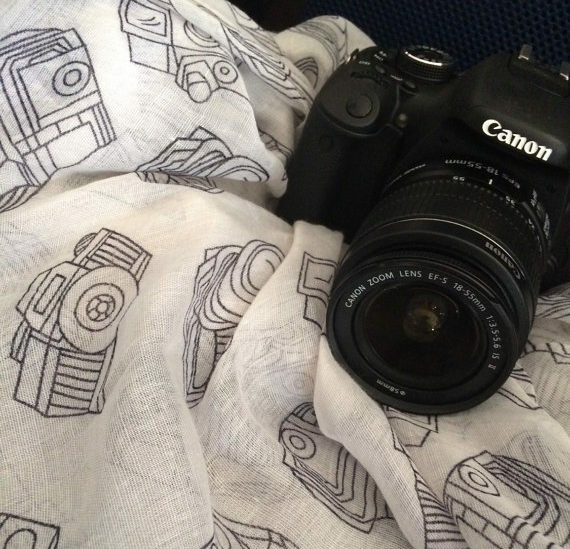 This is a beautiful artistic view of a camera that I had to include in this list. 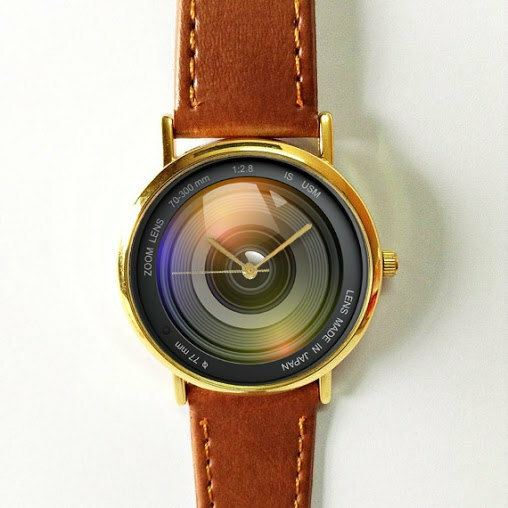 This is a super unique watch – the face looks like a camera lens! Also, I love that you can customize the band in lots of different colors! 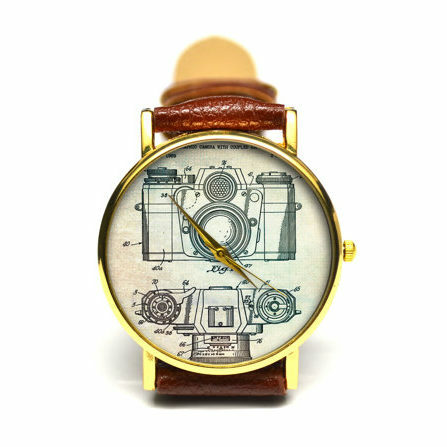 This is a good nod to vintage cameras of old – eye catching for sure! This is a unique watch with a leather band that wraps around the wrist multiple times. It also is adorned with great charms, this is the best of both worlds by combining a charm bracelet with a watch. 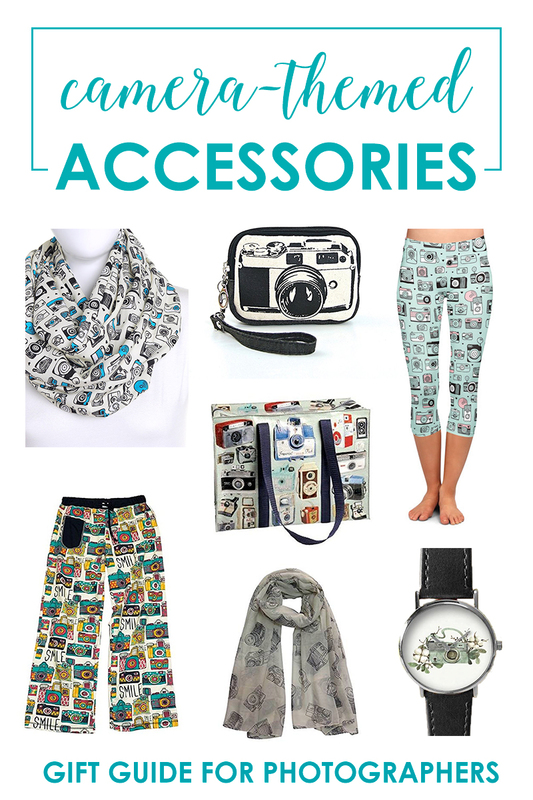 I’ve been using Blue Q pouch for years – they hold up well, and the cameras are so cute! This pattern comes in a shoulder tote bag, a messenger bag, and then the smaller pencil pouch and zipper pouch. Pick the size for your needs! This unique wristlet pouch is super cute! I love the pop of color, but it comes in black too. Perfect when you only need to carry a few things with you! This one is definitely not for everyone – but it is a high-fashion item with tons of personality, which might be exactly what you’re looking for! 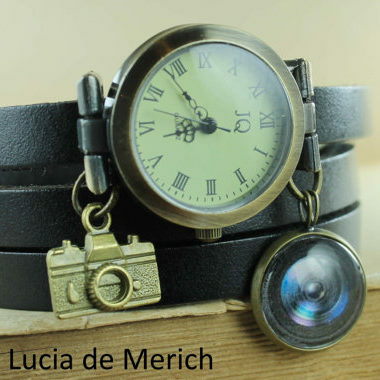 My favorite part is that the lens is actually a zippered pocket for your keys! 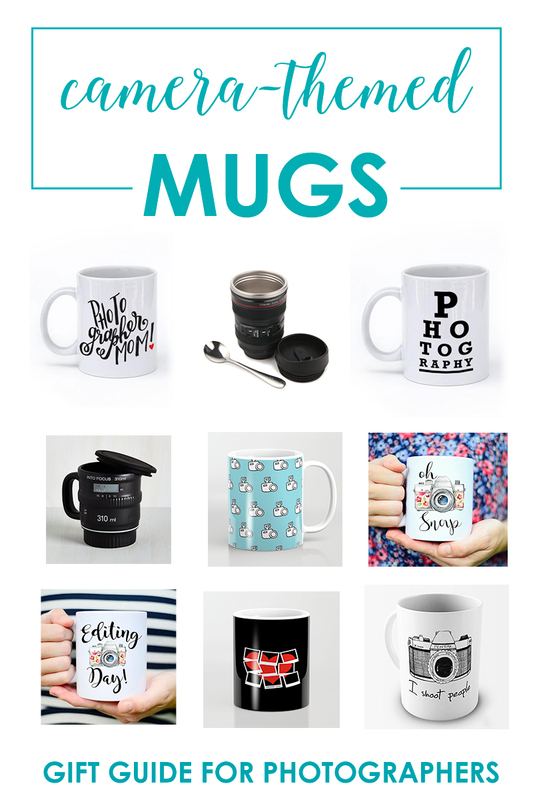 I’ve had a lot of fun looking for all these great gifts for photographers. If the photographer in your life is anything like me, finding ways to show my love of all things photography makes me happy. 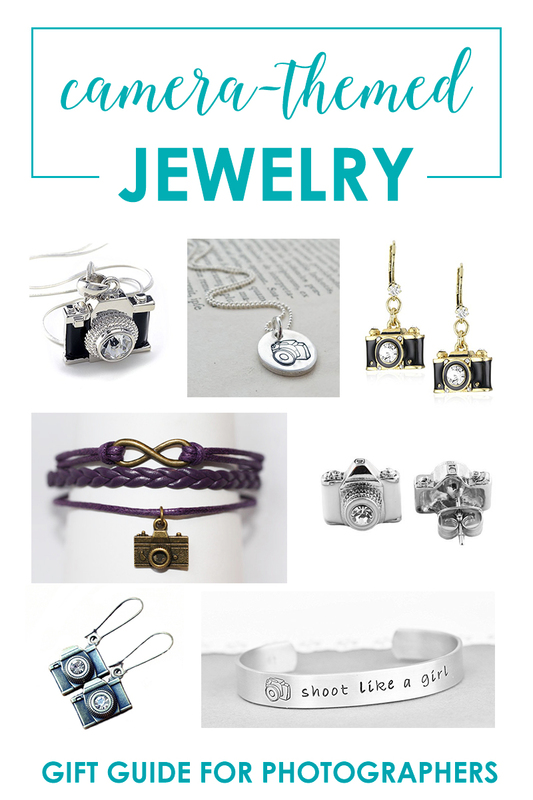 If you didn’t find the perfect gift in this post, check out the other posts in this series! I just love photography, and I find so many cute things to share!